AXX Rock n Roll band was together roughly from 1975 to 1980. 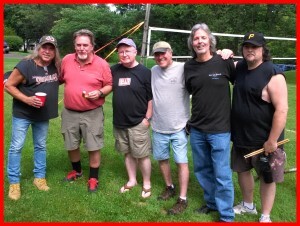 Members; Dave Rehm, Jim Roney, Mark Conahan, Rich Schock and Dan Marks. At the Reunion on July 4th, 2015, Mark was rehabbing so Steve Eddy sat in. We never had good quality recordings our music. This is a subset of the material. © 2016 - All material is original and protected under copyright laws.